1.For those mums out there who are not aware of you, who is Fiona Faulkner? And how did you begin your journey into working on healthy food recipes for kids? 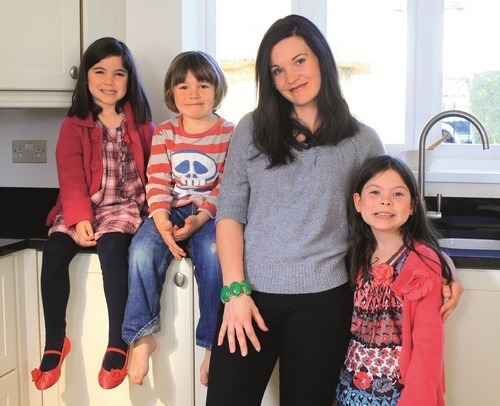 I was working in radio before I did what I do now and after I’d had my daughter Darcey, now 9, I was inspired by the movement of mums who wanted to cook everything from scratch for their kids – from baby purees upwards. My love affair with food wasn’t always there mind you; as a girl in my 20’s living in London, I was living off pizza & frozen food – it all started when I had Darcey. Fast forward to 2007 and my son Finn was quite fussy with his food. I had to get clever with dishes because he was refusing vegetables. I began to devise not just recipes but techniques to get him to eat the healthier stuff and – to my surprise! – it worked. I remember driving home from my radio show thinking there is baby yoga, baby swimming, baby signing…I wondered if there were baby / toddler cookery classes. I had this mad moment of thinking I will set up a business – and Toddler Chef was born! I put out some flyers to see what happened and as it turned out, it was quite popular! 2.How does it feel to be back working with Scott Dunn for another summer season with the Explorers clubs? Really lovely, I love Scott Dunn. The service is exemplary, my husband Matt doesn’t come from any hospitality background at all and he has noticed the “Scott Dunn” difference. I’ve been to a lot of resorts where I feel, as a parent, the kids’ food was an afterthought, but with Scott Dunn clearly that’s not the case; it’s nice to know that they feel the little ones are really important. 3.What have you found the most enjoyable part of your stay here at Pine Cliffs with Scott Dunn? The service!! The Scott Dunn service really is exceptional. We have never had a Scott Dunn vacation before both here and Daios Cove last year and I would say to anyone thinking of booking a Scott Dunn vacation, they really make a difference. You don’t just get dumped somewhere to fend for yourself; you have people who are there every step of the way if needed, from booking to recommending somewhere fantastic to eat, to ensuring swim nappies for your little ones (in the right size!) are in your room when you arrive. 4.What is your favorite recipe you’ve created for Scott Dunn? Or the one you are most proud of? I do really like the Popeye’s pesto with olive oil; it’s a great way to get kids eating fresh spinach – and I love the name too (if I may say so)! Kids love it because they love pasta pesto and parents love it because it’s so quick and easy, but so very healthy. 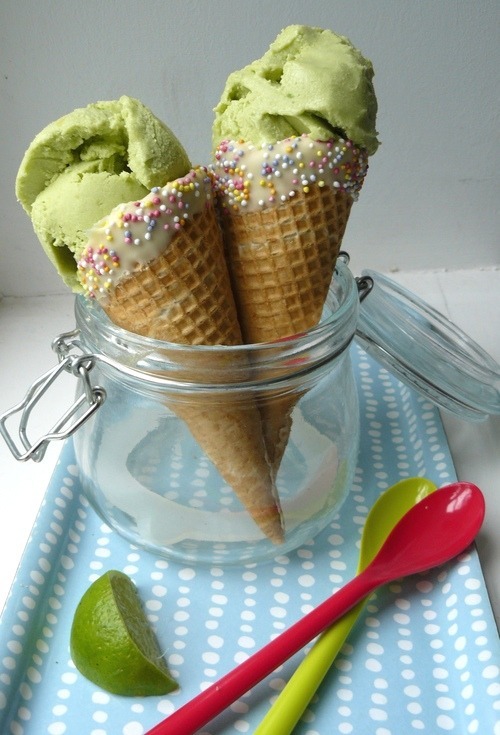 My other favorite is the avocado ice-cream because every kid loves ice cream and it surprises people with it being sweet. A lot of people think it will taste just like guacamole (it doesn’t)! 5.What is your failsafe food for mums on the run? A banana! It’s sweet, it comes in its own packaging and it gives you energy. 6.What is your best tip for feeding your children whilst on vacations abroad? Plan ahead! Use local supermarkets if you are self-catering. If not then have a learning plate; give your children what they want to eat but if the parents are having something new then put some on to the learning plate so it isn’t as intimidating as being on their own plate. This will allow them to try new things whilst still enjoying what they want. Also try to remember you are on vacation so let them indulge a little, (since you do too)! 7.Do you feel children are eating more complex food than before? Do you think they are happier eating the same food as mum and dad? Yes I do, as parents palates have broadened that trickles down to the kids. If parents are eating Thai food, often the kids will too. I do think they’re eating more complex foods and ingredients and that’s a good thing but we must remember kids have a bit of a food ‘safety zone’ and are often naturally a little more cautious – so go at their pace. 8.Do you test all your recipes on your little ones? Yes I do and they are my harshest critics! It’s also great when the kids have friends over so you have a wider cross spectrum of kids. They are honest too which is great! 9.Where does your inspiration come from? Everywhere… blogs, cooking shows and my head, just getting creative. I look at vegetables and think how I can make it into something interesting. 10.What are your essential ingredients, the things you couldn’t live without? Herbs, olive oil, lemons, vegetables…. and wine!! 11.What advice would you give to others when it comes to avoiding panic in the kitchen? Have confidence because really, what’s the worst that can go wrong? Also to taste as you go, have a great set of recipes and when you master them, experiment with them more and practice, practice, practice. 12.With your own kids, what do you talk about when it comes to food? We talk about trying new things a lot. Their palates are changing so we talk about food and look at dessert not as a treat but as the next course. We don’t demonise food and we talk about how certain foods make them feel. I ask for their input so they feel involved and therefore interested. 13.What advice would you give to parents trying to instill good food choices in their children? To cook with them first of all – kids will usually have an interest in eating something they have had a hand in making. 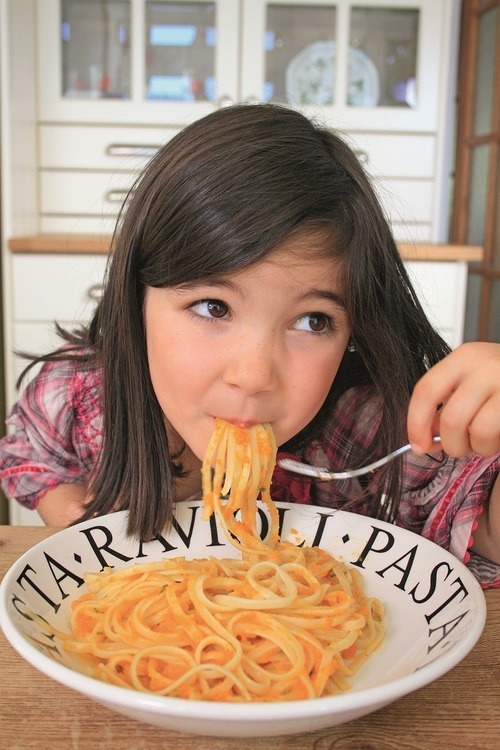 To understand kids have their own palate and there are some things they just don’t like. If YOU eat well, your kids will too! Also I believe in putting food into 3 or 4 big bowls and let them choose 1 or 2 but they must choose 1 or 2 of their choice…it could be broccoli, beans or peas? Don’t just plate up and force them to eat it all.